Teachers, librarians, and children's book enthusiasts of all ages poured into Rhode Island PBS studios recently to be part of the live studio audience for the taping of Author's Studio, a new Rhode Island PBS production featuring conversations with visiting writers. 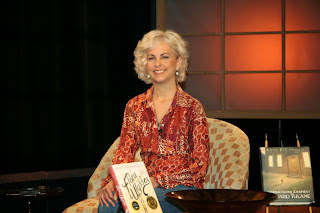 The special guest in the episode, taped in early May, is Kate DiCamillo, Newbery Medal winner and 2014-15 National Ambassador for Young People's Literature. Kate’s book, Flora and Ulysses: The Illuminated Adventures, is the 2015 book selection for Kids Reading Across Rhode Island. 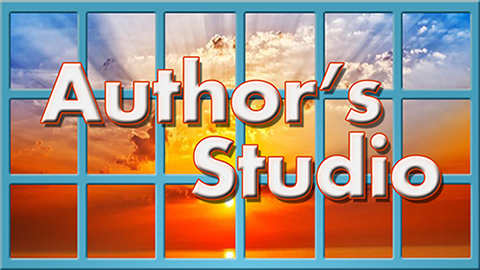 Author’s Studio will premiere on WSBE Rhode Island PBS Saturday, June 6 at 10:30 a.m., with encore broadcast on Friday, June 12 at 5:30 p.m. The show will air on WSBE Learn on Sunday, June 7 at 4 p.m. The episode will also be available on the Rhode Island PBS YouTube channel (youtube.com/user/rhodeislandpbs) starting June 8. The Center for the Book celebrates the art and heritage of reading, writing, making, and sharing books. Through a variety of programs and activities, the Center promotes a love for books among people of all ages and backgrounds across Rhode Island. The Rhode Island Center for the Book is hosted by the Rhode Island Council for the Humanities, a state affiliate of the National Endowment for the Humanities. WSBE Rhode Island PBS transmits standard-definition (SD) and high-definition (HD) content over the air on digital 36.1; on Rhode Island cable services: Cox 08 / 1008HD, Verizon FiOS 08 / 508HD, Full Channel 08; on Massachusetts cable services: Comcast 819HD, Verizon 18 / 518HD; on satellite: DirecTV 36 / 3128HD, Dish Network 36. WSBE Learn transmits over the air on digital 36.2; on cable: Cox 808, Verizon 478, Full Channel 89, Comcast 294 or 312. This episode of Author's Studio with Kate DiCamillo was made possible in part by a grant from TD Charitable Foundation to the RI Center for the Book at RI Council for the Humanities in support of Kids Reading Across Rhode Island. See the show here! Bookmark this page to return anytime.